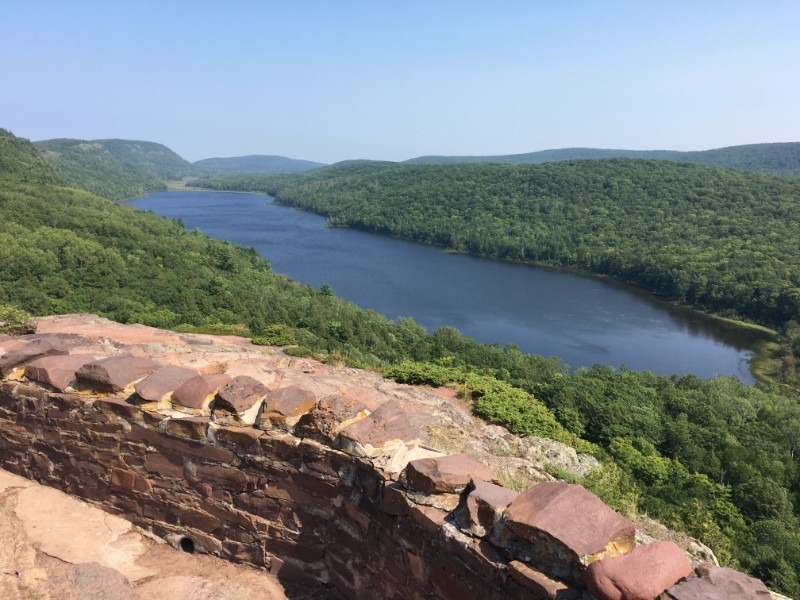 The Porcupine Mountains Escarpment Trail starts at a parking area off the 107th Engineers Memorial Highway and ends at the overlook for Lake of the Clouds. 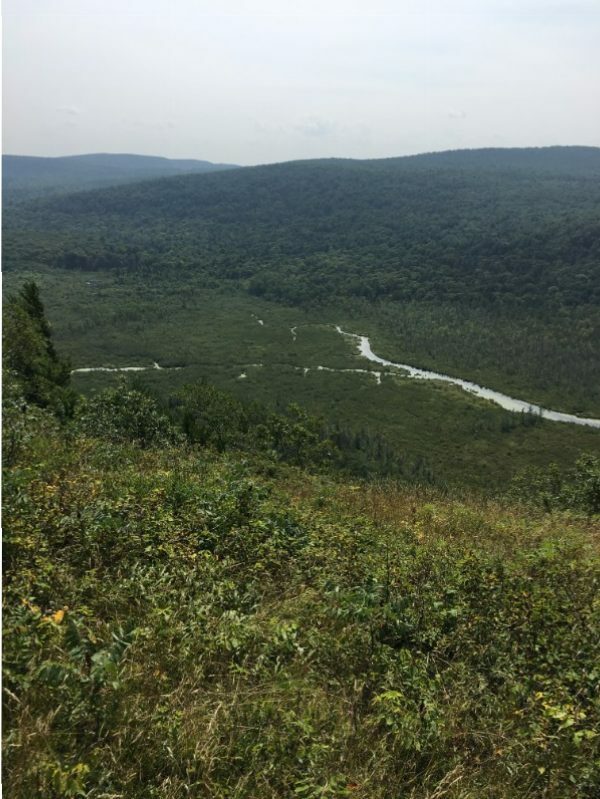 This is one of the most scenic hikes in the Porcupine Mountains Wilderness State Park. If you start from the overlook and hike to the parking area, you will be traveling mostly downhill. You will need to run a shuttle before setting out on your hike unless you plan on hiking both ways. The hike itself is a little over 4 miles one way or 8.1 miles if you hike down and back. Make sure you dress for the hike. The trail is strewn with lots of loose rocks and sliding hazards, so good hiking boots are a must. The sun can also be very hot at points on the exposed bluff, so make sure to bring enough water and sun protection. 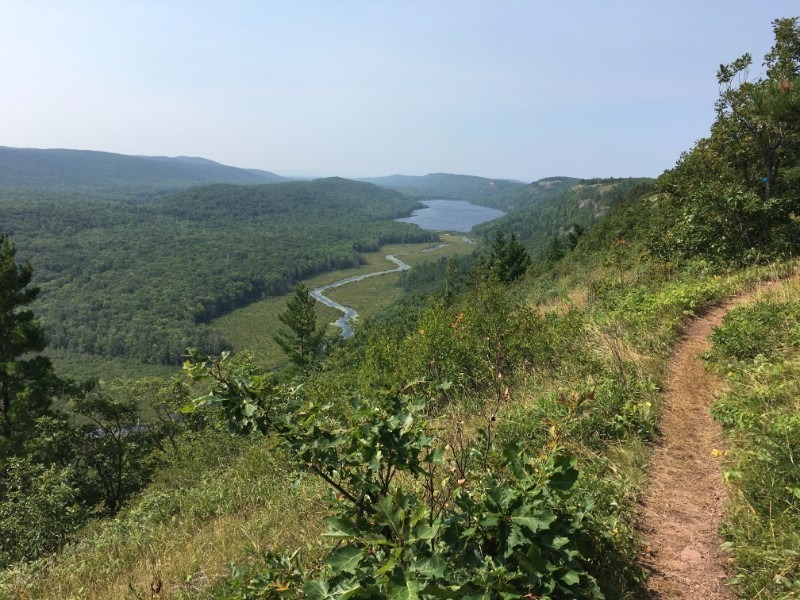 The Escarpment Trail runs along the northern ridge of the Porcupine Mountains. This ridge stretches from the ski hill all the way past the Lake of the Clouds overlook. There are plenty of stunning views from these ridges. Looking down you can see the Little Carp River as it winds its way to Lake of the Clouds. There are plenty of spots to stop and rest or get a bite to eat if you brought it with you. There is even a single campsite approximately halfway along the hike. The beautiful bluffs welcome thousands of hikers each year. Make sure you are in moderate to good shape before attempting this hike. The terrain is fairly rugged in the initial mile of the hike as the trail climbs to the top of the ridge. 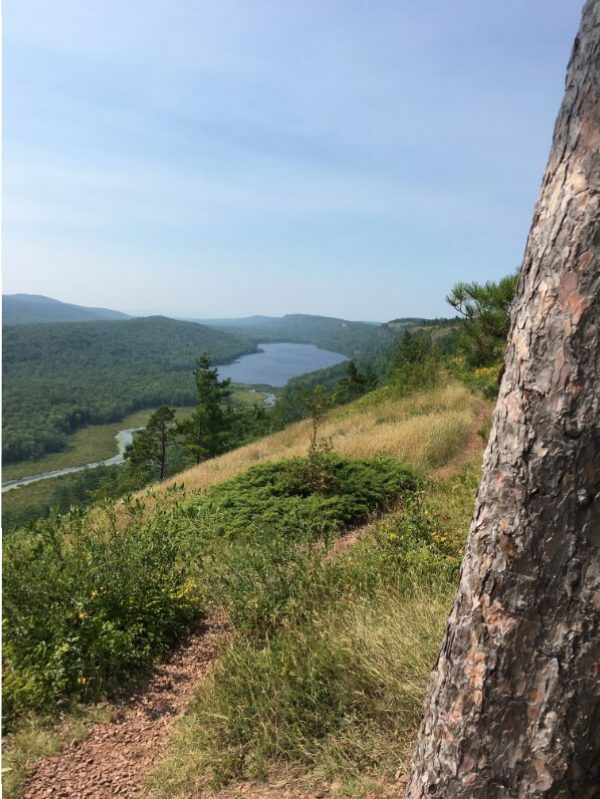 Once at the top, the Escarpment Trail levels off and follow the contours of the Porcupine Mountains. You can bring your canine companion with you, but please keep them on their leash for the entirety of the hike. 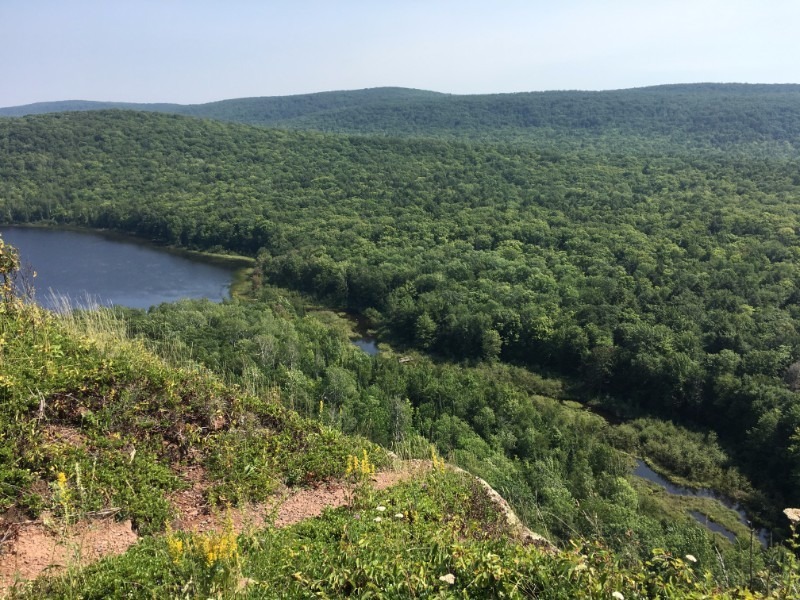 The Porcupine Mountains Escarpment Trail has been called the crown jewel of hikes in Upper Michigan and the Midwest for that matter. If you love the outdoors and stunning views, add this hike to your list of must-dos today!